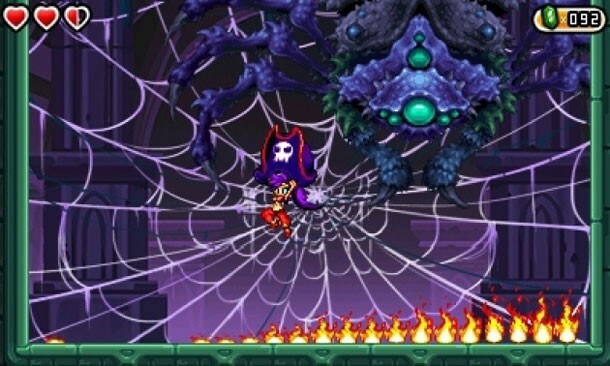 WayForward knows retro game design. Side-scrolling gems like Contra 4 and DuckTales Remastered are proof the developer appreciates the essence of 8- and 16-bit game design. While the studio generally succeeds in recapturing the wheat and discarding the chaff of older games, this 3DS Shantae title's reliance on pesky backtracking detracts from an otherwise capable action-platformer. 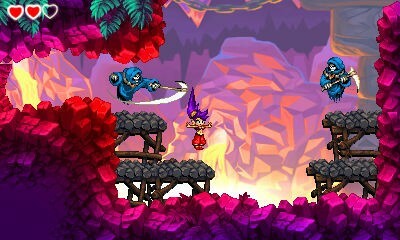 Since the series' inception on Game Boy Color, the adventures of the genie Shantae have always been about fighting enemies like evil scarecrows and squids while acquiring new platforming skills to reach previously inaccessible areas. In the past, this meant acquiring the ability to transform into creatures like a monkey or mermaid to explore further, but Shantae is without her genie powers in this tale. Shantae is now partnered with her former nemesis, the pirate Risky Boots, and the two ladies embark on a quest to destroy an even more evil pirate spirit while Shantae gradually acquires Risky's old pirate gear. Some items are enjoyably useful, such as a novelty-sized pirate hat that lets you float farther, and a cannon that enables a triple jump blast attack. Others make less of a difference, like a Zelda II-style downward cleave attack or Risky's weak pea-shooter pistol. The platforming itself is fun, but it takes several hours of banality to get there. Making matters worse is how exploration and unlocking the story progress is handled. Clearing enemies out of areas is simple enough - lash them with your hair and spend gems to get stronger. However, figuring out where to use your newly found pirate gear can be annoyingly ambiguous. The environments are well realized, but the game doesn't do a great job of making previously inaccessible areas stick out. There are so many treasure chests hidden behind walls that it's tricky realizing which one holds the necessary story item, despite the quirky NPCs that do an uneven job of pointing you to the next area. The only real solution for me became scouring each previous area again once I got a new ability. This turns curious, fun exploration into a tedious chore. Pirate's Curse is a fun little side-scroller when it's not obscuring the next mission objective. Shantae is a very likeable, effervescent protagonist and her cavalcade of supporting characters offer some refreshing comic relief. My personal favorite is a giant recurring squid boss who laments to Shantae about his dead-end role in the story. And while the gameplay feels mediocre early on, all of Shantae's pirate platforming abilities gel together well during the latter stages. Chaining together triple jumps with her float ability to dodge a maze of spikes is old-school platforming at its best. It's just too bad those moments are spread far apart. 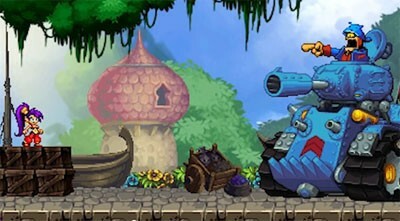 Fans of Shantae's previous adventures will likely find more to love with Pirate's Curse, but there are enough superior retro-inspired games (Shovel Knight, Strider, Azure Striker Gunvolt, etc.) to make this one hard to recommend unless you've already played them all. 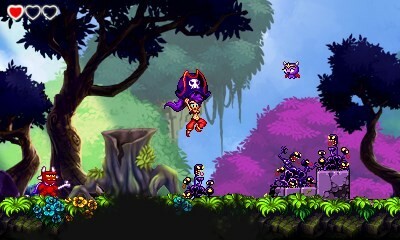 However, there is fun to be had if you're a tenacious enough pirate to dig for WayForward's buried gold. To learn more about the fantastic composer, Jake "virt" Kaufman, read our interview. WayForward's reliance on pesky backtracking detracts from an otherwise capable action-platformer.